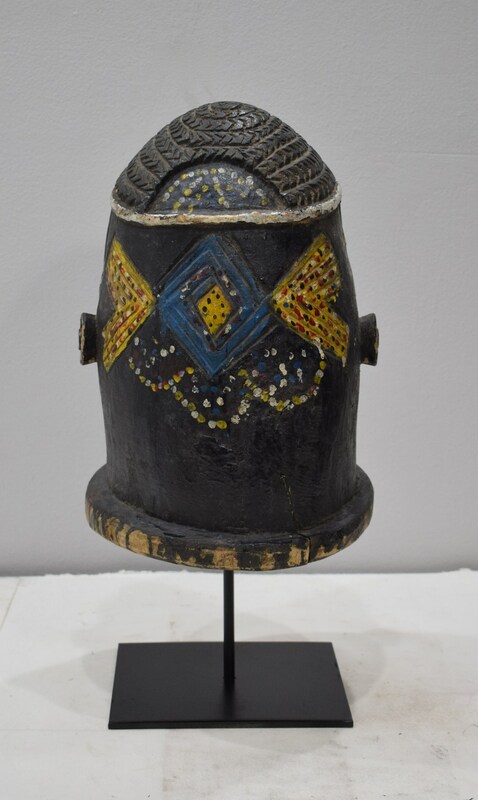 This is a fabulous Igala Colorful Helmet Mask from the Tribal People who live in Southeastern Nigeria, where the Niger and Benue rivers meet. 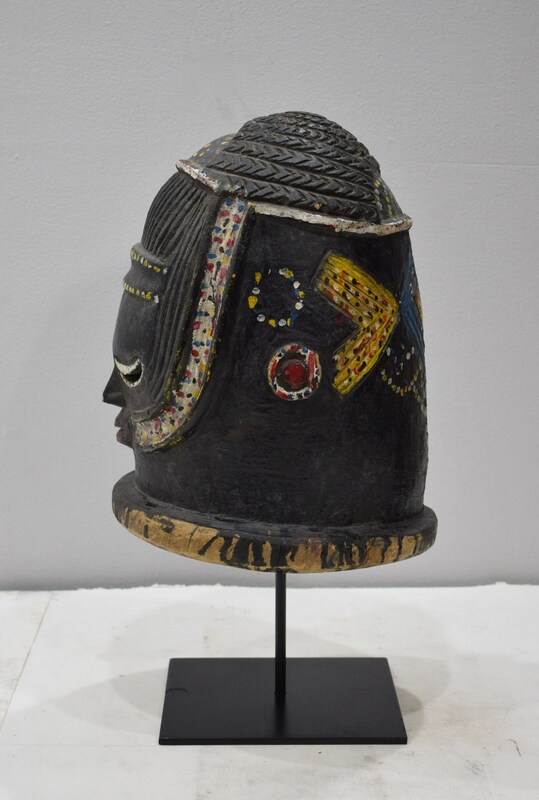 They are known for their helmet masks of lightweight, brown wood, richly decorated with colors and lines in relief. These crest mask represent ‘Egu’, the spirit of the dead, and are used during harvest festivals. 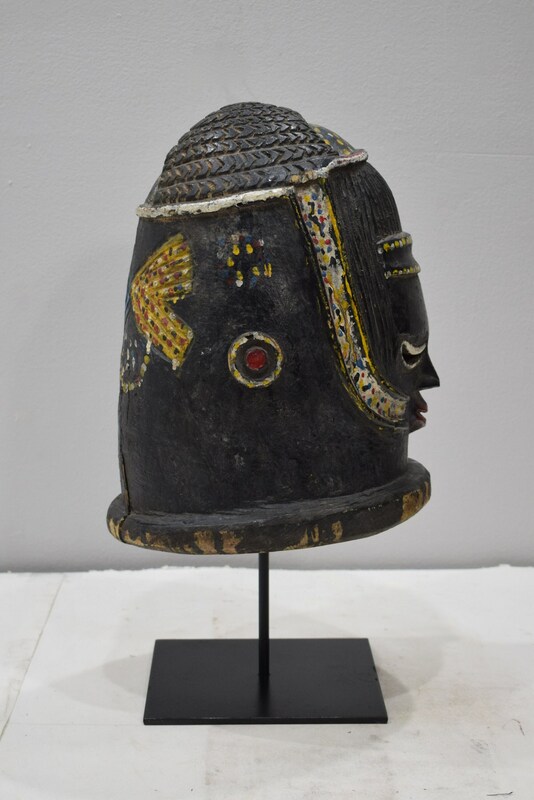 The present helmet mask displays the typical features of ‘Egu masks’. This mask is wonderfully colored with dense clear lines in relief, narrow slit eyes under lowered eyelids, with round ears and red mouth. 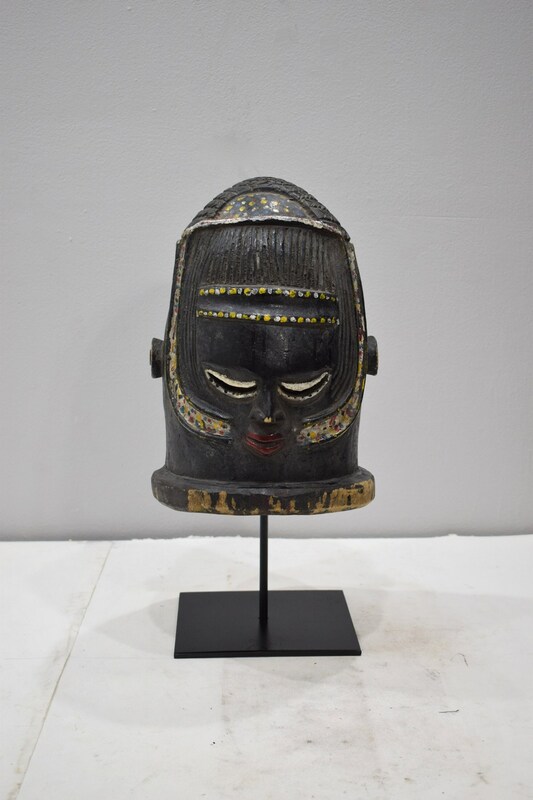 A unique one of kind Mask to add to your collection or home. Shows age, some discoloration, has crack in the back, but overall in good condition. Collectors Piece.